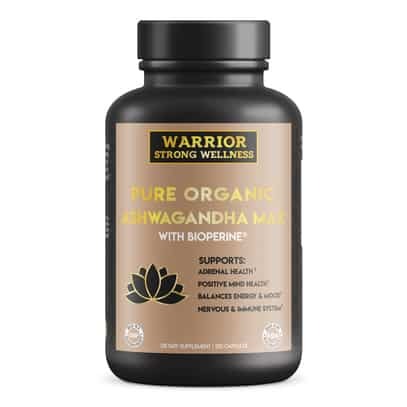 Pure Organic Ashwagandha Max with Bioperine by Warrior Strong Wellness: 1200mg with 10mg Bioperine, Grief, Anxiety & Stress Relief, Adrenal Support, Thyroid Support, Adrenal Fatigue Supplement. Today, when you are having such a hectic and busy lifestyle, it becomes challenging to maintain a healthy, balanced life. All this day to day woes results in stress, anxiety, exhaustion and lack of sleep. We, Warrior Strong Wellness, have a mission of helping people live longer and healthier lives. 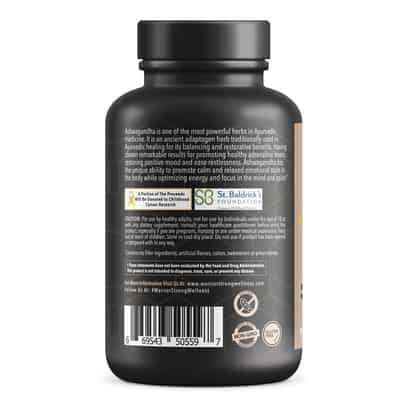 And hence we carefully deliver the highest quality and most effective product so that the customer doesn’t have to compromise with their health. Ashwagandha, also known as Winter Cherry or Indian Ginseng, the magical herb, is considered to be nature’s gift to mankind. With an abundance of antioxidants, iron and amino acids, it is one of the most potent herbs in Ayurvedic healing. It works as a natural stress reliever. 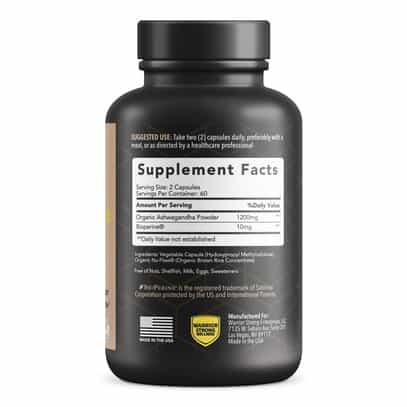 It supports in improving adrenal health, positive mental health, balances energy & mood, nervous & immune system, grief support, relieves depression and anxiety, reduces inflammation and much more. 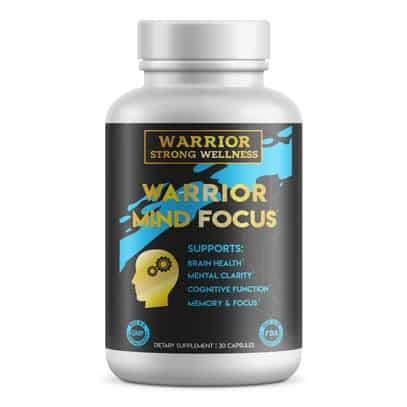 Buy this Ashwagandha Capsules by Warrior Strong Wellness today and we are very sure that you’ll notice the results instantly, feeling an immediate sense of well-being and serenity as you go throughout your day. A portion of the proceeds is donated to childhood cancer research to the St Baldricks Foundation.